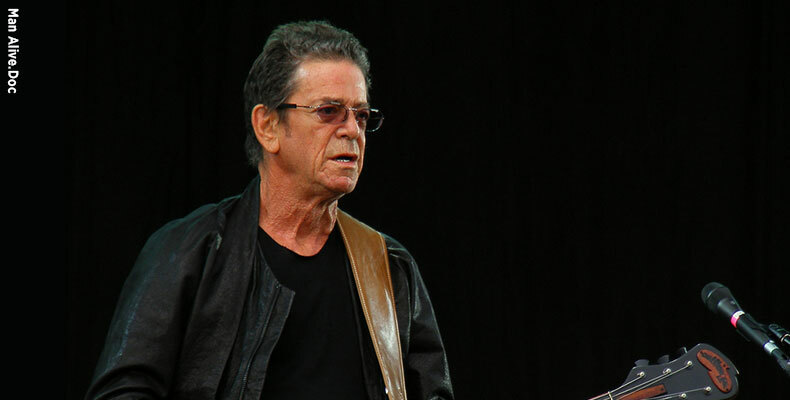 (NEW YORK, CNN, BLUEFAT, LTTW) Lou Reed, who brought rock and roll into theretofore unexplored experiential realms with a literary and unabashedly adult voice as the vocalist and guitarist for the Velvet Underground and as a solo artist, died Sunday, October 27, at his home in Amagansett, N.Y., on Long Island. He was 71. Reed had undergone a liver transplant in May, his wife, the musician/performance artist Laurie Anderson, disclosed over the summer. Reed was a rock pioneer who went from record label songwriter to a member of the short-lived but innovative and influential Velvet Underground. They are one of the most important rock and roll bands of all time, laying the groundwork in the Sixties for many tangents rock music would take in ensuing decades (see “Vox de Cultura – Rockin’ the Mind”). The Velvets’ conceptualized such taboo subjects as sexual deviancy, drug addiction, paranoia and the urban demimonde whose Reed’s lyrical genius and his unique lower tone voice fits perfectly with the Velvet’s droning, avant-garde improvisations approach. Reed, violist/keyboard player John Cale, guitarist Sterling Morrison and drummer Maureen Tucker played their first show as the Velvet Underground in 1965 and soon drew the attention of pop artist Andy Warhol, who became their manager. Brian Eno, cofounder of Roxy Music and producer of U2, Coldplay and others, put it best when he said that although the Velvet Underground didn’t sell many albums, everyone who bought one went on to form a band. In 1970, Reed left the Velvet Underground to embark on a solo career. He had his only Top 40 hit with “Walk on the Wild Side,” from the 1972 album “Transformer,” but his 1973’s “Berlin” and 1975’s “Metal Machine Music”, were gaining much respect among other pop musicians, composers, and music critics around the States. CalArts professor of Composition and Experimental Sound Ulrich Krieger stated that “Metal Machine Music is a missing link between contemporary classic music and advanced rock,” and, hearing an even number of rock and orchestral elements in it, he figured out how to transpose Reed’s reel-to-reels and detuned guitars to the instruments of his own outfit, Sonic Boom, as well as those of the California E.A.R. Unit, an orchestral repertory ensemble which has been in residence at REDCAT since 2004. “We have lost a true visionary and creative leader, and his groundbreaking work will forever hold its rightful place in music history,” Portnow said.